Vapable Signature Blue Raspberry Doughnut Flavour e-liquid is loaded with pure temptation, sweet and fruity, with a deep fried taste. 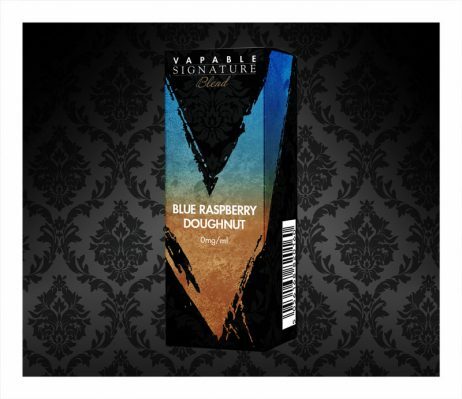 Vapable Signature Blue Raspberry Doughnut Flavour e-liquid is loaded with pure temptation, sweet and fruity, with a deep fried taste. Complementary flavours of blue raspberry candy blended with a lovely warm doughnut make this e-liquid a wonderfully devilish vape. Traditional fairground flavours, beautifully captured in one sublime e-liquid. Our team at Vapable is proud to bring you our Signature range of premium e-liquids, an enticing selection of high quality flavours for the discerning vaper. 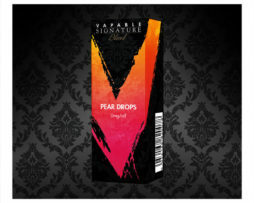 Vapable Signature is a luxury e-liquid range that is unrivalled for satisfaction and vaping experience. Exclusively created for pleasure seekers and connoisseurs, Vapable Signature e-liquid brings you all of our expertise and passion for the craft of mixing. 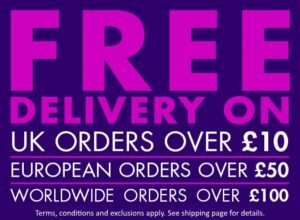 Premium quality UK made e-liquid, at a 70VG/30PG ratio, giving the perfect balance between flavour and vapour production. 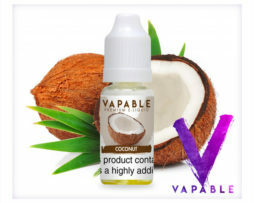 Vapable Signature e-liquids contain high quality natural and artificial flavourings, propylene glycol, vegetable glycerine (and nicotine at the level you select) and are guaranteed to be pure and free of diacetyl. We use only the very highest quality pharmaceutical and food grade ingredients, sourced from the UK and EU and all of our ingredients conform to British and European safety standards. Every bottle of Vapable Signature e-liquid we sell is mixed in a hygienic UK production facility. We are fully committed to delivering the finest quality in each and every bottle of Signature e-liquid. Over time, e-liquid will usually darken in colour and flavours can also become stronger. This is perfectly normal. In fact, many vapers deliberately speed this process up by ‘steeping’ the liquid (most commonly by leaving the bottle open for a few days). We recommend that you store your liquid in a cool, dry, dark place. This will extend its lifespan and improve its flavour. As nicotine is a toxic substance, please keep any e-liquid well out of the reach of children, pets and well away from foodstuffs. There can be noticeable colour differences between different batches of the same flavour. This is a natural result of the e-liquid manufacturing process and is not a fault.